Note: Due to the inclement weather, all services on our Dallas and Ft. Worth campuses have been cancelled for this Sunday (December 8th). In addition to worshiping together as a family through the live stream, the following links can be used to walk your kids through the small group portion of this Sunday’s lesson. We hope you will utilize them to teach your kids more about FAITH and trusting God even when we don’t understand. At the heart of the Christmas story lies the most amazing miracle. God, Himself, came to earth as a baby. He was both fully God and fully man. He fulfilled the promises made through the prophets and rescued us from the power of sin. Before He took His first breath, He chose one young couple to play a very special part in His great rescue mission. 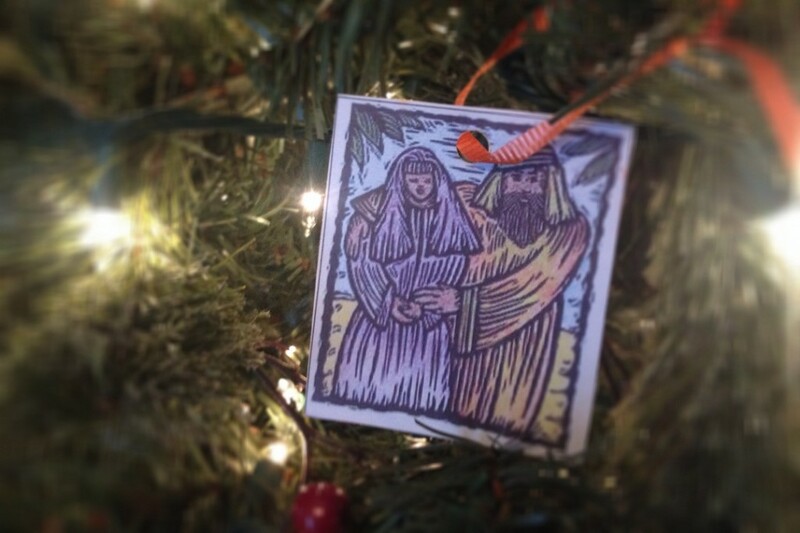 Mary and Joseph were two ordinary Jews from ordinary families living ordinary lives. Then one seemingly ordinary day, God stepped in and changed their lives. He told them He was going to perform a miracle and use them in His very extraordinary story. In Luke 1:26-38 we see Mary’s faith when the angel told her that she would have a baby even though she wasn’t married. Joseph trusted and obeyed the message God sent him through an angel in Matthew 1:18-25. God told them that all of the promises they had heard about their entire lives about a Messiah were going to come true in the life of Mary’s baby. God never promised it would be easy for them but He promised to remain faithful even when they couldn’t understand His ways. How do we see both Mary and Joseph’s faith in how they respond to the angel’s message? What did they remember was true about God that helped them have faith in God even when they didn’t fully understand what He was doing? When in your life has God asked you to trust Him even when you didn’t understand? What happened? How did you feel? What has God given you to help you through times that are confusing? How has He shown you His faithfulness? Many of the Christmas carols we sing each year were written by people who had faith in the Word of God and wanted to share His Promises with others through song. Plan a night of Christmas music with your family and when you sing a song, try to find places in the bible that reminds you of the words in the song. “Hark the Herald Angels Sing” is a great example of a carol inspired by Scripture. Sing the song and then look up these verses that go along with the words! Grab a long sheet of paper (or tape a couple of pieces together) and write each letter of the alphabet across the top of it. Throughout the week think of a word for each letter that completes the sentence, “God is…” Let these words remind you that God is faithful and trustworthy even when you don’t understand. It’s not too late to start walking through an Advent Calendar with your kids! Last week all of the elementary kids went home with the Jesse Tree Journey which you can print off for yourself and your family. Follow along with a daily devotional to help prepare your hearts and minds for Christmas in the middle of a busy holiday season. Pray through Mary’s song of praise in Luke. Thank God for all of the ways He reminds you of His faithfulness. Ask Him to help you trust Him even when things don’t make sense. Thank Him for being in control over every situation, even those you don’t understand. How are you and your family preparing your hearts for Christmas this year? Share your favorite Advent story with us! The post Because God is Faithful, we can trust Him even when we don’t understand appeared first on Watermark Community Church Blog.